There is an iPod in each of the kid bedrooms in our house. Since Lincoln was an infant, we’ve played waves and waterfalls to help him sleep. It’s such a relaxing sound, and it also helps drown out all the random noises from Peanut barking to me cleaning the kitchen after bedtime. At some point, my naturally curious child discovered that there were more than just sounds of nature on the iPods. One belongs to me and one belongs to Mike, and there’s quite a bit of music to choose from between the libraries. Mike was all proud and thinking it was hilarious, while I was reminded of this passage from the above mentioned blog post. “We need to figure out how to be more precious. I don’t even think our kids know any hymns! How are we supposed to break out in spontaneous family worship?? WWAVD?? (What would Ann Voskamp do?) Remy told me Jesus rode into Jerusalem on a donkey “because he was so rich.” We are raising dullards. Let’s just throw in the towel.” That blog made me laugh out loud and realize there is hope even if your children are insane. Since that incident, Lincoln sneaks to the radio just about every day and plays music. I never know what we will hear. It’s like putting your iPod on Lincoln shuffle mode. A few weeks ago he found my 80’s playlist that I made for Mike’s 30th birthday a couple of years back. His current favorite from that playlist is The Final Countdown. One morning Mike & I were sleeping when suddenly we were awoken by the sound of the 80’s synth intro. It’s a bizarre way to wake up. We just looked at each other and shook our heads sleepily. I’ll be in the kitchen and hear him singing, “We’re leaving together!” at the top of his lungs. When I’m just walking around the house doing whatever is on my to-do list and all of a sudden an epic musical intro starts in the background, I feel like I’m in a movie and Lincoln is choosing the soundtrack to my life. His selections seem a bit dramatic. Picture me washing the dishes to Eye of the Tiger or folding laundry to I Want to Know What Love Is. Yes, at any given moment my house sounds like a bad movie or the 80’s room in a night club on a Saturday night. As much as I dream of having a future relaxed and quiet child who sits quietly and colors or maybe knits for entertainment instead of running wild & screaming like a banshee all day, there is no denying the level of pure fun that Lincoln brings to our daily routine. The saying, “Never a dull moment,” was invented for my life with Lincoln. I think I have danced more in theses four years of being his mom than I did in all of the 26 years before him. So if we are ever talking on the phone and you hear the sound of a cheesy 80’s song suddenly play loudly in the background, you’ll know why. 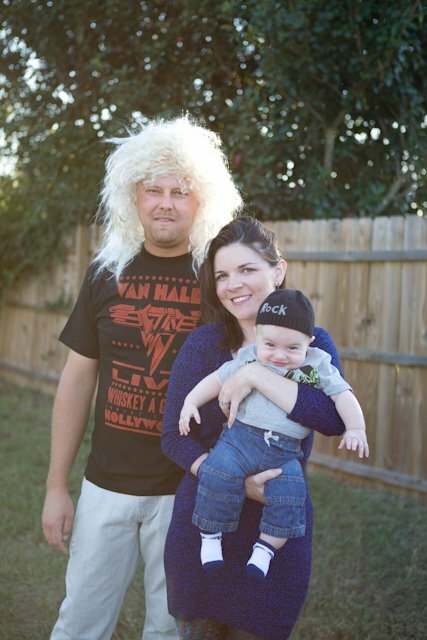 I blame my son’s obsession with 80’s music on his father. 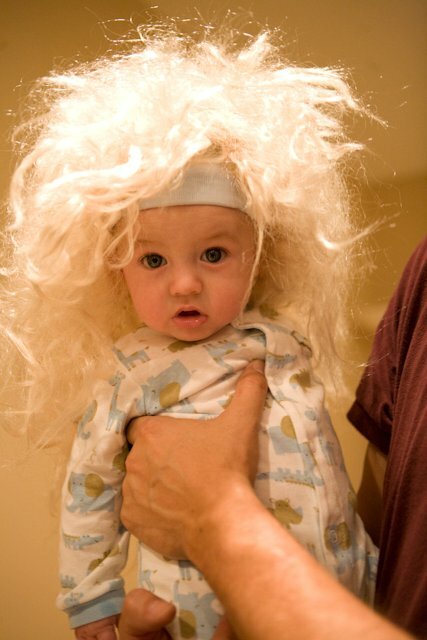 And maybe on his attendance at Mike’s surprise 80’s themed birthday party at the tender age of five-months-old.